On Sale Now! Free Shipping Included! 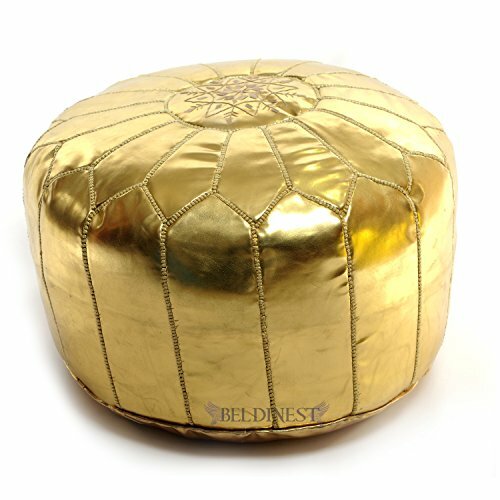 Save 6% on the Stuffed Moroccan Gold Ski Leather Pouf, Pouffe, Ski Leather Ottoman, Hassock, Tuffet, Foot Stool, Ski Leather Seating, Foot Rest, Handmade Poufs by BeldiNest at Indsight. MPN: BN-GOPF-105. Hurry! Limited time offer. Offer valid only while supplies last. Moroccan Poufs are wonderful ottomans used for seating. This type of furniture can go by many names, such as hassock, tuffet , and of course ottoman.